RingCentral and Phone.com are inarguably two of the biggest players in the cloud based, small business phone services market. Both are excellent companies, with a long standing history of providing cloud based phone services to small, medium and even larger businesses. Even though they both basically offer very similar services, there are key differences between these two giants, and we will go over those in this article. Phone.com offers three basic plans and then allows you to pick additional ala carte options to add to those plans. The three plans are basically the same with only the number of shared minutes that you get with each plan being the difference. These minutes range from 300 on the lowest plan to 1,000 on the upper plan. With Phone.com you share these pooled minutes amongst all users that you add to the system – unless you add an unlimited extension, which we talk about next. These minutes are used for all calls(toll free and non toll free), faxes, and audio conferencing.With Phone.com you can add an unlimited minutes extension to any user for an additional $23.99 per extension(or think of it as per user). This extension or user would then not use any of the pooled minutes. The key difference here between Phone.com and RingCentral is that with Phone.com when you add an unlimited minutes extension, those minutes are good for both Domestic and Toll Free calls. We will go over how RingCentral handles unlimited minutes a bit later – but their unlimited minutes do not apply to Toll Free calls. Phone.com also allows you to add minutes in bundles of 1000 for $35/month, 2200 for $77/month, or 5000 for $164/month, but the pricing seems a bit steep for this and you would probably be better off just adding the unlimited minutes extension for that heavy user or users – it will depend upon how many minutes you need and if you need them for all the users on the plan or just one or a few. 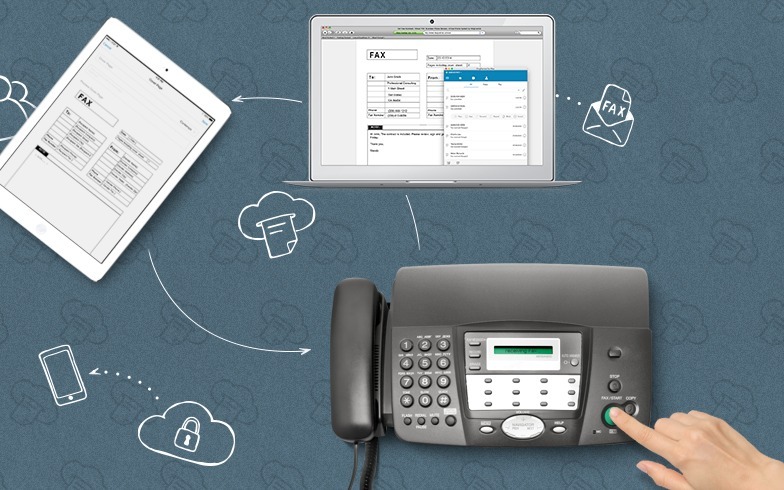 RingCentral offers two different plans/services for small business phone service, along with an internet fax solution and a call center solution. 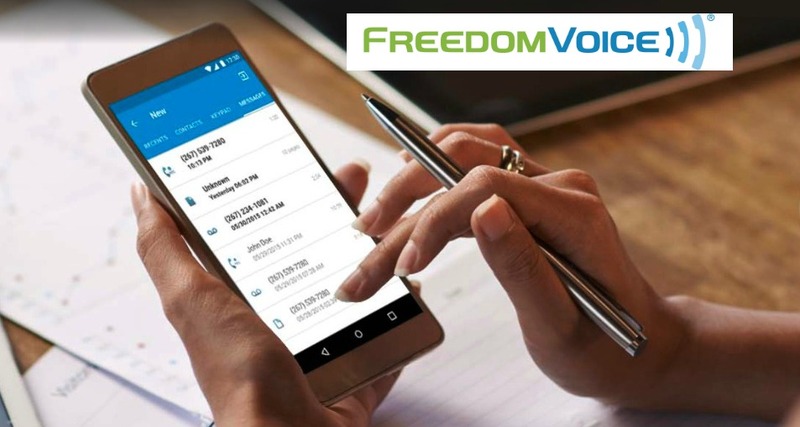 We will focus on the two small business phone services plans in this article, but we wanted to make you aware that they also do offer separate stand-alone solutions for faxing and call centers if you were to find yourself in the need for either. >> RingCentral Professional is similar to Phone.com in the fact that you also get a pool of shared minutes that are shared amongst all users on the system. They also offer three different levels to this plan that again range in shared minutes from 300 to 2,000 – with the highest plan also giving you 1,000 additional minutes for toll-free calls only. RingCentral professional is basically designed with the concept of the mobile professional in mind. 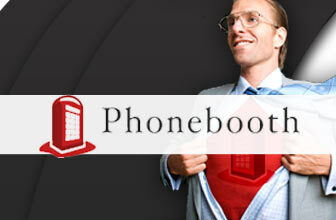 It allows you to easily route incoming calls and faxes to existing phone numbers – cell or landlines. So think of the busy freelancer who has a cell phone but wants a business number so they don't have to give out their personal cell phone number when doing business. 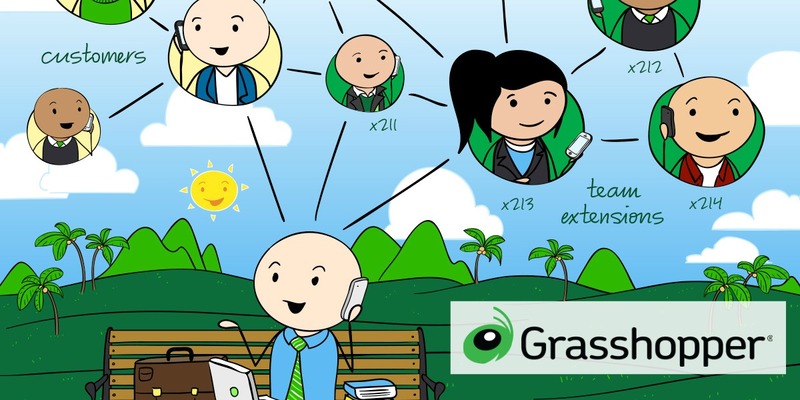 Or possibly a business with multiple employees or freelance workers located around the world that they can now easily route calls through one phone number to existing employee cell phones. You can also easily make phone calls through RingCentral Professional using their mobile apps for both Android and IOS – which you can also do with Phone.com. With RingCentral Professional you do NOT have the option of adding unlimited minutes for heavy users. If you find yourself needing unlimited minutes you would have to upgrade to their RingCentral Office product line. 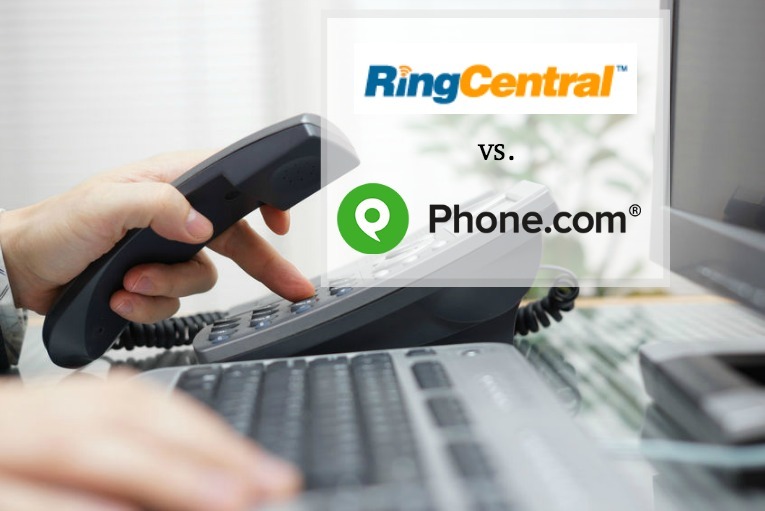 This is one key difference between RingCentral and Phone.com. >>RingCentral Office is different in it's setup because there are no pooled minutes to share. All minutes are on a per user basis and so is the pricing. The key differences between the three plan levels within RingCentral Office involve the features that are included, and the number of toll free minutes. As we stated, pricing is on a per user basis and you will get discounts for paying annually as well as for the more users you add. The more users on the plan the cheaper the per user price. Phone.com allows you to combine pooled minutes plans with unlimited minutes users to customize a plan to fit your specific requirements. They also include toll free calls in their unlimited minutes. So you can start out with 300 shared minutes for $12.99/month for the vast majority of your users, and add unlimited minutes users at $23.99/month for those heavy minutes users. With RingCentral you will have to choose either a pooled minutes plan OR an unlimited minutes plan for all users of the system. This may not be ideal for those businesses where they have multiple employees but only one or two who are heavy minutes users, as you would have to choose RingCentral Office to get unlimited minutes but pay for it for all your employees. This can add up quickly at around $25/user. Phone.com offers a 30 day money back guarantee on their base plan only. They do not offer a free trial. So if you aren't sure about signing up for phone.com, we would suggest you start out with the base plan (300 minutes), and use the 30 day money back guarantee period to test them out. 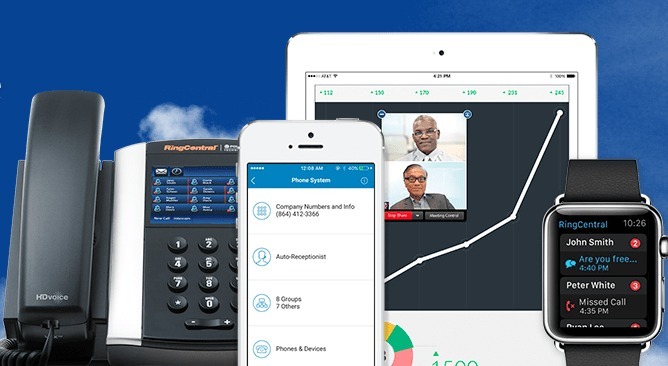 RingCentral offers a 15 day free trial on both their Professional and Office product lines. With RingCentral Office the free trial limits the number of minutes and users, however. Phone.com offers HD (High Definition) voice quality service for all plans and pricing. 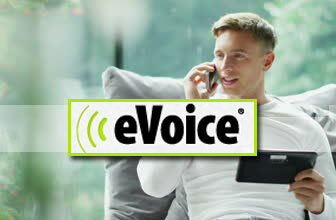 This HD phone feature allows for phone conversations that are crystal clear and easily understood. This can be particularly important with Audio Conferences, where the ability to clearly hear multiple people during a call is critical.To take full advantage of this feature both the calling and receiving systems should be HD capable, and utilize HD quality phones. RingCentral only offers HD Voice service with their RingCentral Office Premium and Enterprise plans. RingCentral Professional does not offer HD Voice capability. Both offer professionally recorded greeting and message setup for an added fee. 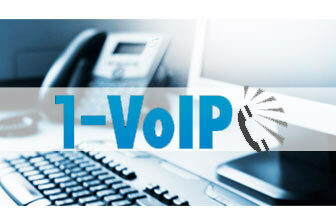 Both of these services are cloud based business VoIP(Voice over Internet Protocol). Because of this, call quality can be affected by your internet bandwidth, the quality of the equipment you are using – routers, modems, ATA’s, and digital IP phones – and even things beyond your control such as weather conditions or interference from other devices or equipment. Phone.com offers a fully featured call management system including call handling rules/menus, call routing, call forwarding, caller id/caller announce, call blocking, call screening, call waiting, follow me and more. Call Recording is available for an additional fee. For a full list of the phone.com features see our Phone.com Review. 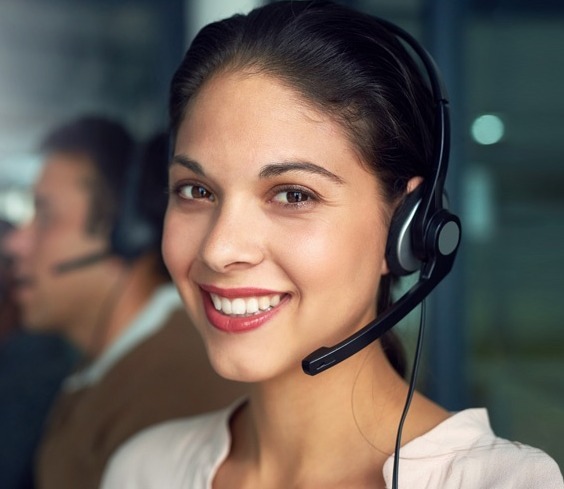 RingCentral also offers a extensive call management features, including call handling rules/menus, call routing, call forwarding, caller id/caller announce, call blocking, call screening, call waiting, follow me, call recording and more. 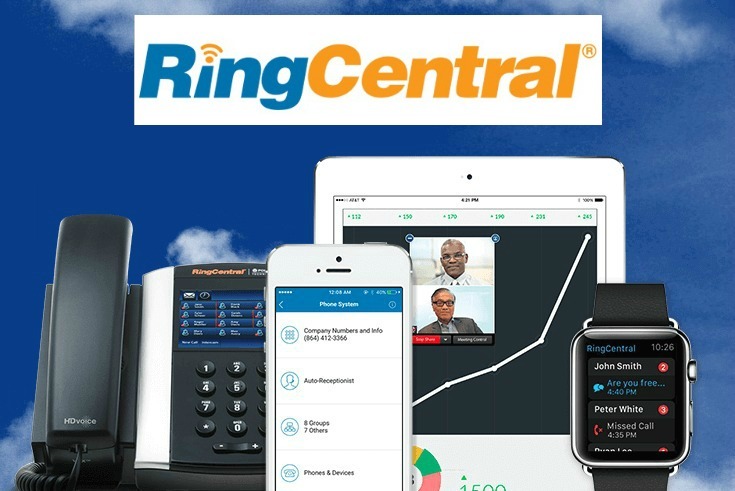 For a full list of RingCentral features see our RingCentral Review. Compare RingCentral and Phone.com using our extensive feature and pricing comparison grid here. 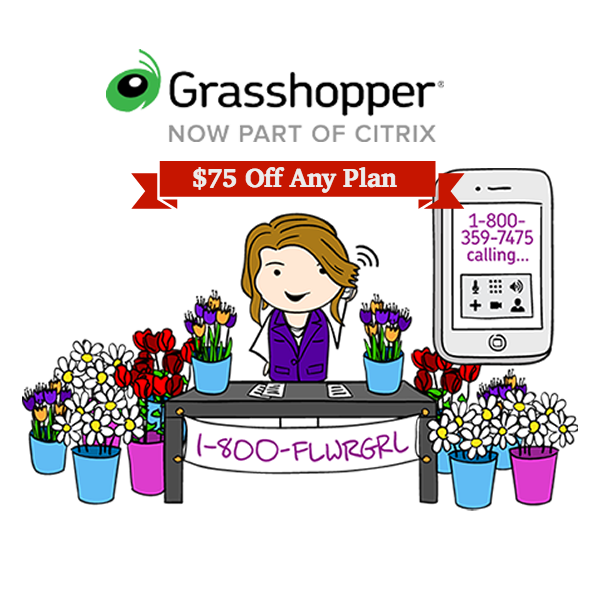 Both Phone.com and RingCentral offer top quality small business phone services. The key difference we find between the two is the way they have structured their plans. With Phone.com you can easily scale up or down as your business needs may change. You can start up as a single person business basic needs that include forwarding calls to a cell phone so that your customers can contact you, regardless of whether you are in the “office” or not. From there easily scale up to multiple employees, located in multiple locations or even working from home and forward calls as necessary – or have a receptionist for specific hours and voicemail and call routing for after hours. With Phone.com it's extremely easy to add phone numbers, users and advanced features such as call recording, video conferencing or CRM integrations as your needs change – without completely changing plans. With RingCentral you really have to decide which product you think best suits your needs and then your upgrade path within the product can be limiting – especially with RingCentral Professional – as it's main purpose is for inbound call routing. If you need a more of a full business “office” solution then you will need to look into RingCentral Office as your solution. Or if you need more advanced options such as video conferencing or integration to a CRM solution you also will need to look at the RingCentral Office product. Switching from one product to the other is not easily accomplished and would require you to go through the setup process again for each. Basically it comes down to your business setup requirements, and how much configurability and room to grow you want in a system. If you want to start out small with the potential to grow over time without having to change products, then Phone.com is going to be your best bet. However if you are pretty confident in your needs – either as a one-person business with simple call routing needs, or a small, medium or larger business with fairly complex phone requirements then RingCentral will work for you in either situation. Before you commit, be sure to check out the feature set of both to verify that any specific feature needs you have will be met. Both companies have fairly comparable features – but with RingCentral they limit the features available in their RingCentral Professional product. Get Unlimited Minutes for $19.99/month! Right now save 20% on 3 months of service! Save 20% for 3 Months! Try for 30 Days FREE!